You spend 90% of your time indoors. It’s time to create a healthier and more comfortable living environment. Your windows will be built to compliment every room with an optimal balance of natural light and fresh air. Our tilt-turn system provide large views combined with effective ventilation for a comfortable living space during any season. We will build your doors to perfect any living space by featuring the view first by maintaining subtle profile details, combined with the comfort of tight security and ease of use. 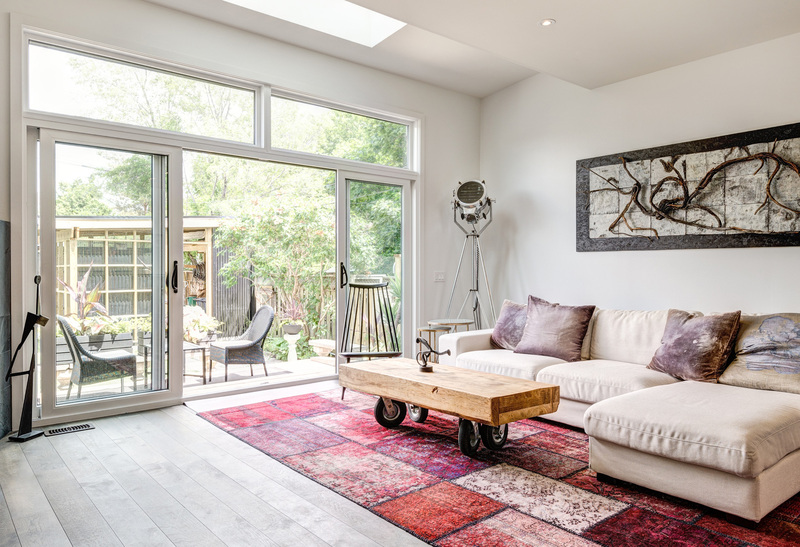 Our sliding door system comes in 2, 3 and 4 panel options to maximize your view and keep your sacred floor space clear. 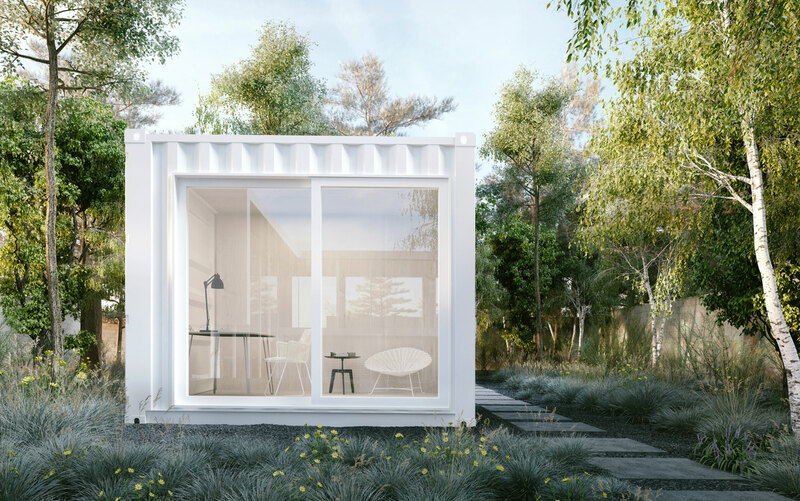 Beyond concept, glasshaus containers have been developed by a group of like-minded individuals. Collaborative merging of sustainable materials, forward thinkers and creative professionals has resulted in these personal space incubators for you to own and explore. 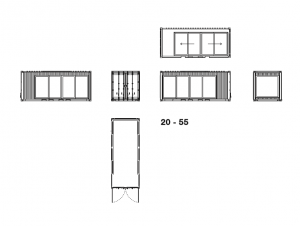 Each unit has been configured for an optimal glass-to-wall ratio, designed to enhance the intended purpose. 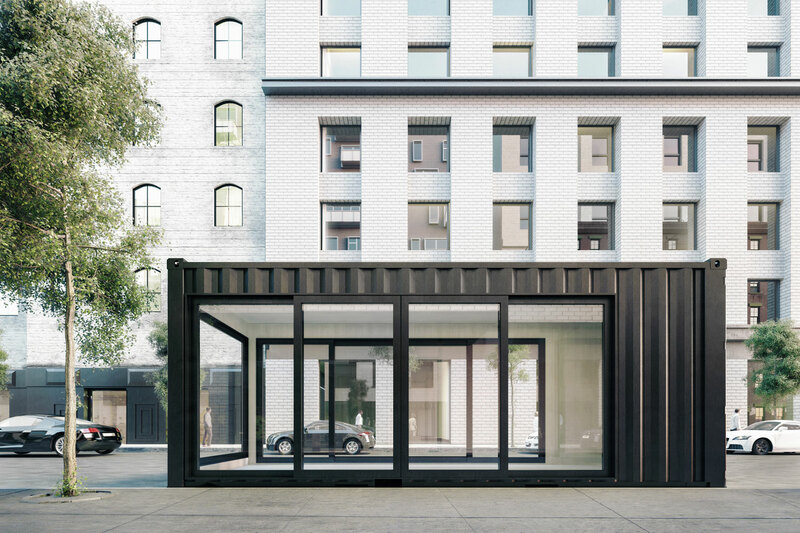 make a statement with this space, as the surroundings are an essential component of the interior; the 20-55 was designed to compliment bold architectural placement and embrace transparency for dwelling and retail experiences. 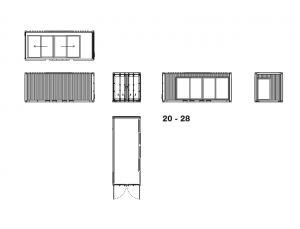 configuration details: front wall - bi-parting 15ft sliding door // end wall - 7ft window // back wall - 15ft bi-parting sliding door // container hinged doors in tact. the significance of personal space is immediately apparent in the 20-28, as it is designed for you or your guests to regain balance and comfort. 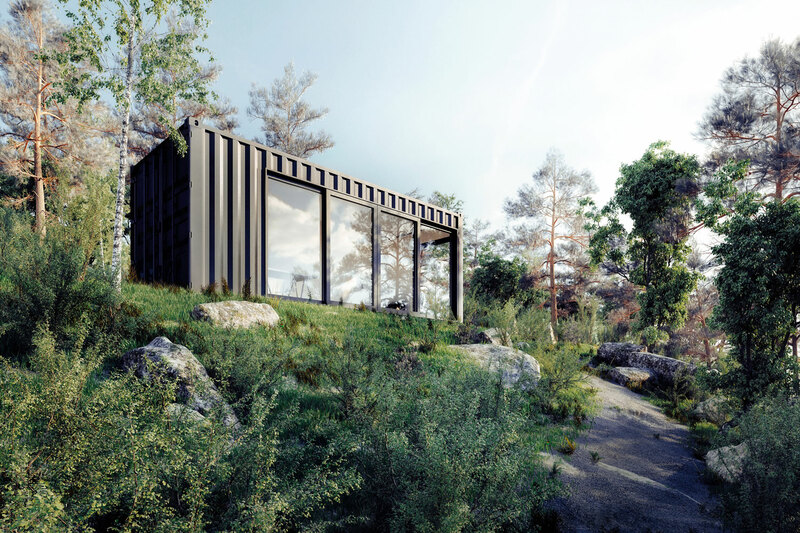 Built from single use shipping containers, all with their own unique imperfections, with the intention of integrating architecture, landscape and design – these spaces heighten one’s experience of a city or natural landscape. 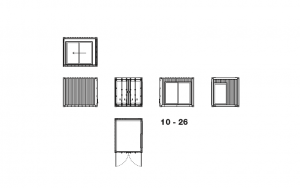 We build and deliver the 10’ or 20’ units as painted, glazed and insulated spaces in 10-16 weeks, ready for you to finish the interior. 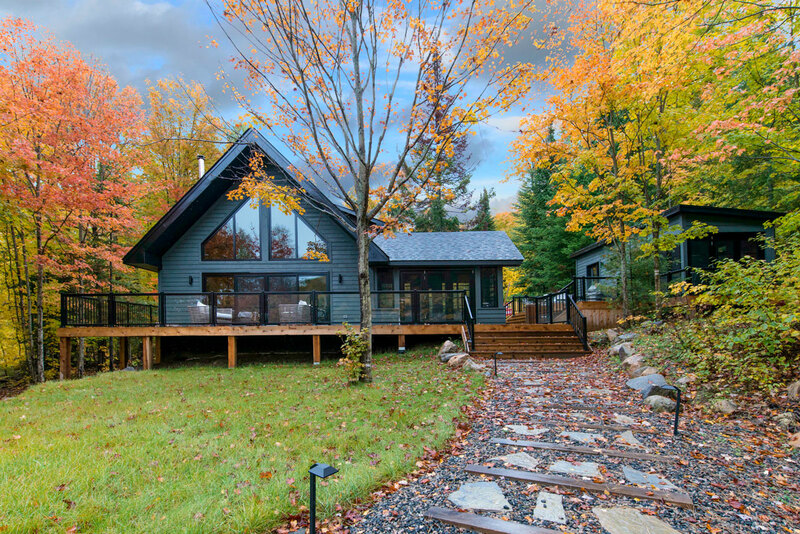 Prices range from $11,000 to $23,000 CAD + taxes and delivery. © 2018 Glasshaus Inc. All rights reserved.